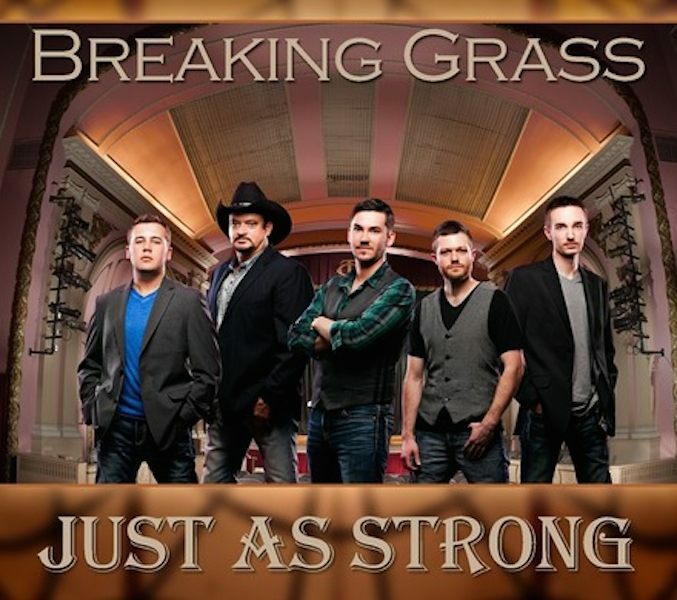 Mississippi’s popular and well seasoned bluegrass band,Breaking Grass, hit #4 today on the Billboard Bluegrass Album Chart with their new Mountain Fever Records album, Just As Strong. The album hit #7 on the Heetseekers chart. The album released August 5th and showcased the release of the first single, “Raining in Virginia,” written by guitarist Cody Farrar. Just As Strong is the third album for the band in as many years and their first charting on the Billboard chart. The band will also showcase their talents at the upcoming International Bluegrass Music Association’s World of Bluegrass convention coming up in Raleigh, NC September 30-October 2, 2014 at the Raleigh Convention Centre. They will participate in a street festival while in town as well as performing on the Youth Stage at 4pm on October 3rd for a 45 minute set. Congratulations to these guys. They can play, they can sing and they have great stage presence. From 17 to 56, they display an amazing professionalism on the stage and in the studio. I’m so glad the world is hearing this band and getting it – Mark Hodges, Mountain Fever. With their fresh sound, original material, strong vocals and innovative musicianship,Breaking Grass is doing exactly what their name implies. Although not quite traditional, the music they present is without a doubt steeped in the timeless genre they grew up listening to. Breaking Grass is Cody Farrar on guitar; Tyler White on fiddle; Thelton Vanderford on banjo; Zach Wooten on mandolin; and Britt Sheffield on bass. This relatively new band formed with one goal in mind – to make music that all ages could enjoy. Everywhere I look now days I see new artists, bands and singers. Though many are good with many levels of talent, I haven’t seen or heard any that can compare to the originality that Breaking Grass offers with the good songs they write and the way they sing them – Jamie Dailey – Dailey & Vincent. For more information on Breaking Grass, visit Breaking Grass website or Mountainfever website.